With the increasing use of technology in all aspects of life, the effects of radiation have become a growing topic in the community. The increased use of technology is greatly in the form of cell phones and children have also increasingly been using this form of technology. There are already several studies that discuss the harmful effects of the radiation a phone gives off. Not only does the radiation harm the body, it is thought to have a more severe effect on children. There are options to protecting you and your children from the effects of the radiation your phone produces. Some of these products are available at Aires Tech. With the changing times, the use of cell phones has become the most common form of communication. Not only do people use cell phones to connect with people but children are also using cell phones more often as well. The problem with using a cell phone so much is that in order for one to work it must connect with a tower. The phone releases a radiofrequency that connects with the tower to allow the connection to form. This radiofrequency falls on a low frequency but that does not mean that it causes no harm. Prolonged use can affect sensitive organs in the body and are thought to even cause cancer. 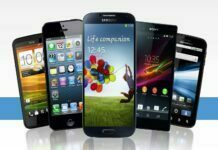 Some of the more sensitive organs, like the liver, kidneys, colon, and the bladder can be adversely affected by the radiation a cell phone produces. Children are still developing and this is the main reason the radiation from phones is so detrimental. Even more than children; the baby inside the womb can be greatly affected by the radiation from a cell phone. Their brain tissue is still forming and the neurons that are developing can deteriorate. This is the reason that women should limit their use of radiation causing cell phones while pregnant and they should keep these harmful devices away from their stomach. Once the baby is born and even when they are a little older, children are more susceptible to the radiation that comes from a cell phone. This is because they are smaller, their skull is much thinner, and their tissue is more absorbent. Many people allow their children to play on cell phones to keep them busy, which has shown to be a bad choice for the development of a child. Not only are the radiation from cell phones harmful to adults, but they are much more damaging to children. Parents should consider the negative effects of allowing their children to use cell phones or they should find a way to help protect their child from the radiation a cell phone gives off. While they may seem really cool to play with for a child, cell phones are actually doing more harm than good for the person that is holding it. Everyone should protect themselves as the various technology around all has some form of radiation that it emits.